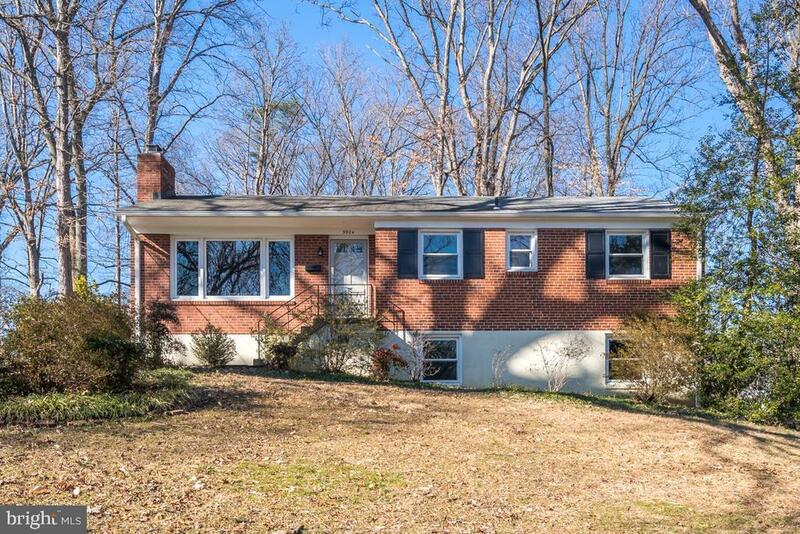 Enjoy wooded privacy in the heart of Fairfax City on over half an acre! Located in sought-after Little River Hills, this 4BR, 3BA, raised rambler has 2, 500+ total finished square feet on two levels. This light-filled home has views of nature from all directions. Open floorplan with kitchen-dining-living rooms. Hard surface flooring throughout. Fireplace has energy saving wood stove insert. Master has en suite and double closets. Secondary bedrooms are sizable. Fully finished and bright lower level with connecting stairs, plus separate side entrance. Spacious screened porch off back of home. Tons of storage with massive utility room/workshop, pull-down attic, secure storage below covered porch, plus a stand-alone shed. A gardeners delight with garden boxes ready for planting for the new season. This home is move-in ready! Close to commuter routes, shops, eateries, grocers, entertainment, Ashby Pond, Daniels Run Park & more. Directions: From I-495, take the VA-236 W/Little River Turnpike W exit, EXIT 52B-A toward Fairfax. Merge onto VA-236 W via EXIT 52A toward Fairfax. Go right on Estel Road, left on Ashby Road. At end of road, turn left onto Duncan Street. 9904 Duncan Street on right.